Charles John Cutcliffe Wright Hyne (1866-1944) was a British writer of popular adventure fiction and fantastic literature. 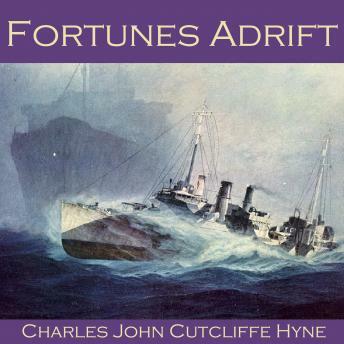 'Fortunes Adrift' is the story of a small trading steamer than comes across a broken down passenger liner off the coast of Africa just as a hurricane is bearing down on the two vessels. Never one to miss a commercial opportunity, the captain of the steamer strikes a deal. For £100,000, to be paid by the wealthy cruise passengers, he will attempt to tow the liner to safety. But will their groaning engines hold? And if not...will they even survive the storm?